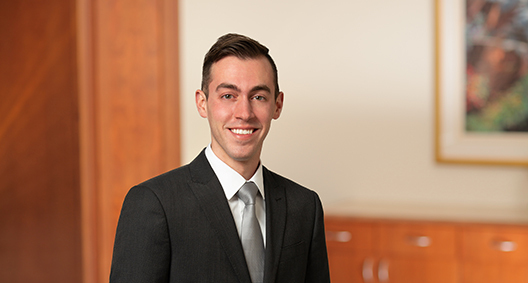 Jake Bruner concentrates his practice on employment litigation, class action, labor relations, arbitration and internal counseling. Armed with an MBA and a philosophy that considers his clients' bottom lines, Jake takes a business-first approach. He primarily advises public and private sector institutions on non-competition agreements, trade secret issues, wage and hour problems arising under the Fair Labor Standards Act, and defamatory social media content involving the workplace. From defending a city police department in a wrongful termination grievance, to representing the State of Ohio in class action litigation, Jake’s resourcefulness and practical mindset facilitate positive outcomes for clients. Assisted employers in the financial, insurance, mortgage and private practice medical industries regarding enforcement of non-compete, non-solicitation and trade secret clauses in employee contracts to enjoin competitive work. Responsible for drafting initial pleadings and motions for a temporary restraining orders. Successfully defended public sector employer, a city police department, in grievance brought by police officer arising from wrongful termination. Responsible for compiling grievance trail, preparing witnesses and drafting post hearing brief. Advised local cannabis investors regarding the cultivator licensing process and other workplace issues pertaining to marijuana. Member of cross-office special counsel team that successfully defended State of Ohio and Tax Commissioner in Home Rule Challenge brought by more than 160 municipalities. Responsible for researching and drafting brief in opposition to preliminary injunction briefs at trial level, and complete appellate brief for 10th District Court of Appeals. Member of cross-office team that defended local bar and restaurant in online defamation matter (which received national attention for its free speech issues); involved in caselaw research, litigation practice and settlement negotiations. Obtained motion to dismiss for public sector client, a local university, against former student alleging unfair and deceptive practices under the Consumer Sales Practice Act. The Buckeye Campaign Against Suicide. Launched the local student organization while at The Ohio State University to help raise awareness and provide QPR/suicide prevention and certification training.